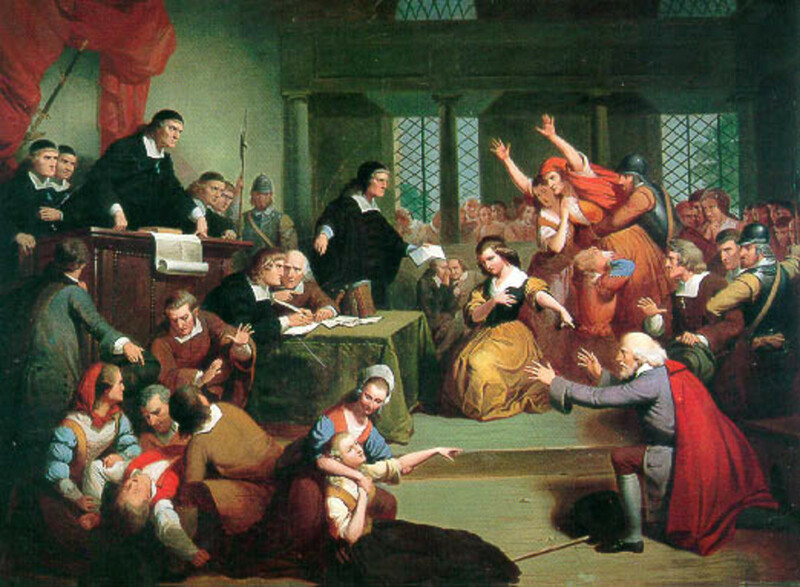 The hubs about Johnathan Edwards and his sermon, "Sinners in the Hands of an Angry God," has inspired me to write to write this hub about the Salem Witch Trials of 1692. I also taught American Literature to sophomores in high school, so I do know a little bit about the Puritan Era and the phenomena known as The Salem Witch Trials of 1692, which was the worst example of mass hysteria and religious fervor run amuck in the history of our country. And, this era of Puritan history has been used in popular literature as a vivid cautionary tale about the dangers of religious extremism, false accusations, lapses in due process, and governmental instrusion on individual liberties. 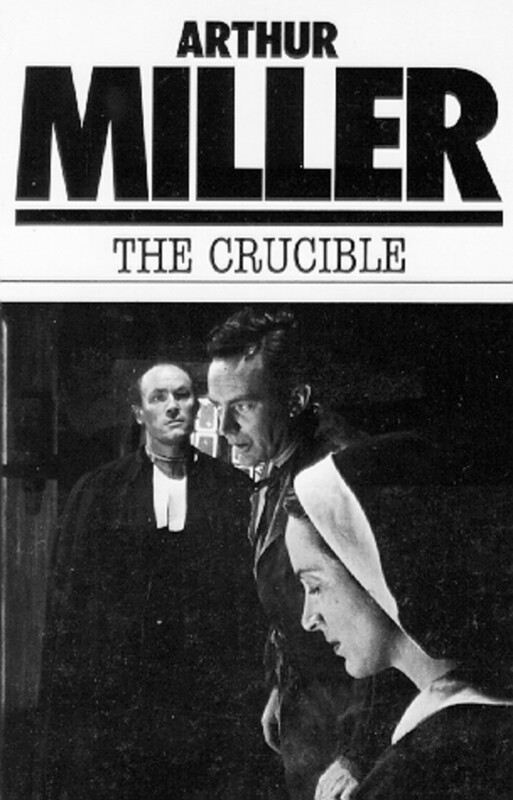 Of course, in the classroom we read, "The Crucible," by Arthur Miller (1952) to bring the Salem Witch Trials alive in the classroom. 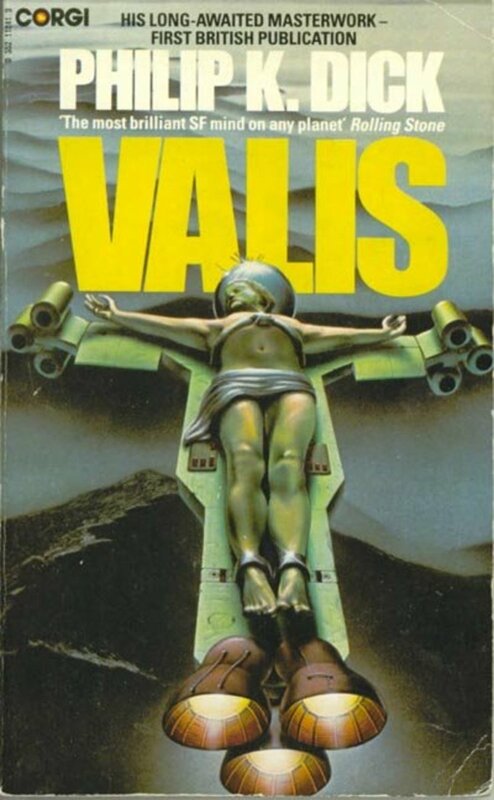 The play is very effective in delving into the reasons why people falsely accuse others, follow others blindly out of fear into hysteria, and how lives were lost and destroyed in the name of God and religion. So I decided it was time to delve into another "we will never forget," moment in history, this time in our own country. Even though this happened in the earliest times of life in America, and it encompasses the Puritans and their era, we still want to learn from this hysterical time and not repeat the mistakes made by those living, who, perhaps, didn't know any better. 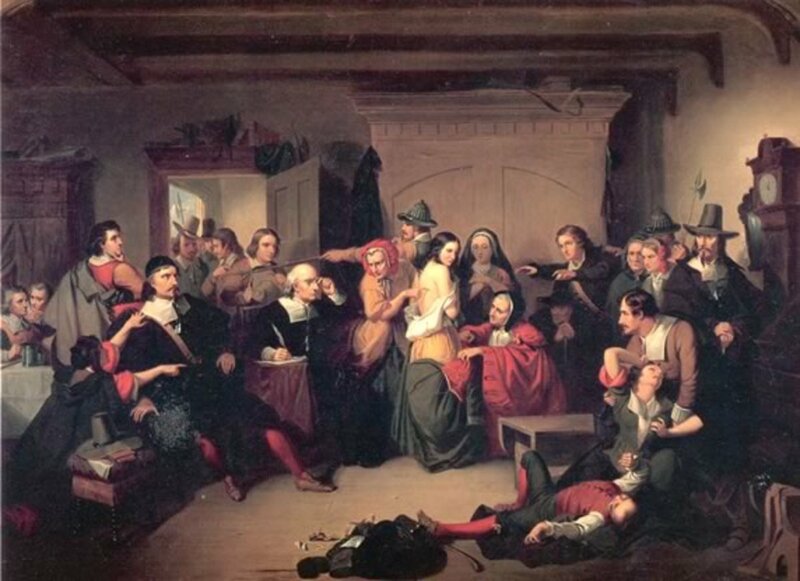 Around 1629 or 1630, the Puritans arrived in America to seek religious freedom from England, and set up the Massachusetts Bay Colony with Salem Village and Salem Town being the largest Puritan settlements here in the new world. While, living here in the new world, the Puritans had attained their goal of being able to practice their religion as they pleased, but as far as freedom, there was not much of that in these Puritan settlements. 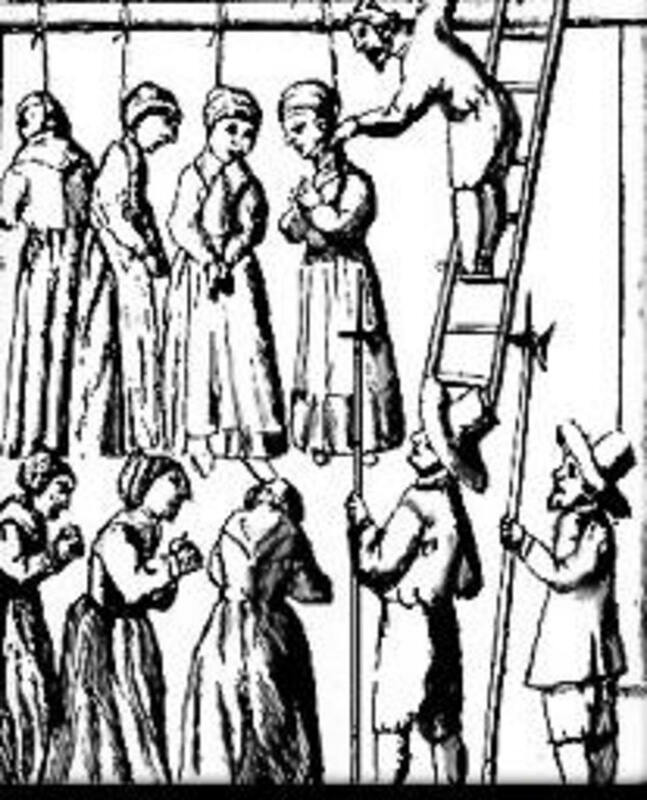 The Puritans lived very repressed lives governed by church law in all aspects of life. Music, dancing, celebration of holidays such as Christmas and Easter were absolutely forbidden. Schooling for children was in religious doctrine only and in the Bible. All villagers were expected to got to meeting house for three hour sermons every Wednesday and Sunday. Leisure or recreation time was unheard of in Puritan life. Every second of daily life was living dutifully for God and carving out a life in the new world. 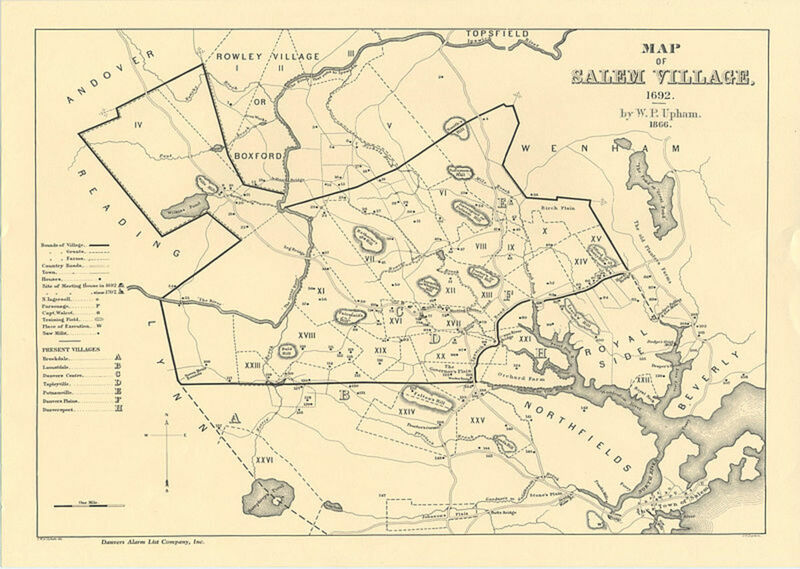 Also, at this time the two settlements of Salem Village and Salem Town had many internal disputes, and disputes between the town and village especially over who to hire for a minister. Samuel Parris, became the first ordained minister in Salem Village; however his hire only seemed to increase the village's division. He inflamed the congregation's disputes instead of calming them, and made church members in good standing suffer public penance for small infractions and generally contributed to the tension within the village and bickering in the village continued unabated. All misfortunes that befell Salem Village were attributed to the work of the devil; infant death, crop failures, and contention between fellow members of the congregation. When problems arose in Puritan life, the supernatural was blamed. 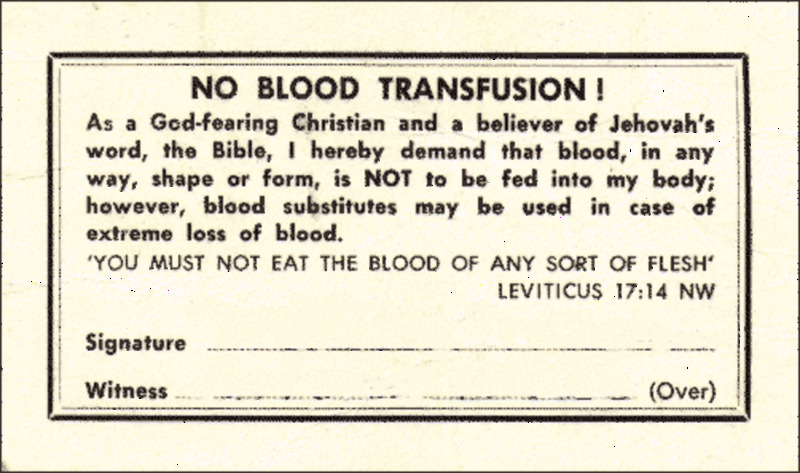 The supernatural became part of everyday Puritan life. There was a strong belief in Satan that was very active to Puritans. Written works by such men as Joseph Glanvill and Cotton Mather tried to prove in their writings and sermons that "demons were alive," which played on the fears of individuals who believed demons were active among the Puritans. 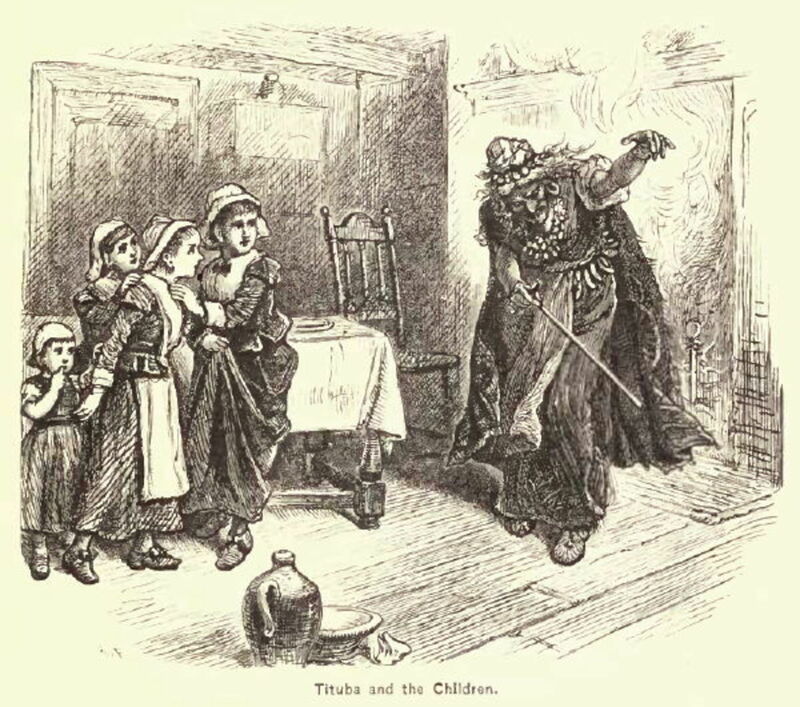 Therefore, Salem Village and the Puritans were ripe for the belief in witchcraft when several young and adolescent girls began acting strangely in Samuel Parris' own household. What could be causing these young girls in the minister's own house to act so out of control? The only explainable cause to the Puritans in Salem Village was ---witchcraft and Satan. The Salem Witch Trials of 1692 began with the strange and unusual afflictions of the girls in and near the Parris household in Salem Village. Betty Parris, age 9, her cousin, Abigail Williams, age 11, Ann Putnam, age 12, and Elizabeth Hubbard, began to have fits: they screamed, threw things, uttered strange sounds, crawled under furniture, flapped their arms around like birds, and contorted themselves into unusual positions, complained of being pinched and pricked with pins, and writhed around on the ground. What was causing this? Well, when Samuel Parris investigated, he found that the girls had been spending quite a bit of time with Tituba, the Parris' household slave and servant, from Barbados in the Caribbean and she had been discussing voodoo with the girls. Tituba was a Carib Indian/African American in background and told the girls stories of her life in Barbados and demonstrated the religion, which was very spiritual in nature, that was practiced on the island by the natives. Well, take impressionable young and adolescent girls, repressed by their Puritan lifestyle, brought up to be prim and proper Puritan girls, music, dance, and celebrating forbidden in their lifestyle and you have girls at the right ages to throw off the repressions of Puritanism. Also, at this time, the girls had heard of the accusations of witchcraft from other nearby villiages. All this, plus Tituba and her stories, and you have young girls throwing off their Puritan repressions and and freely throwing themselves around in bodily freedom. What a release for these girls and it could all be blamed on witchcraft, because that was happening close by anyway. John Proctor, a very upstanding citizen of Salem Village, but when he raised objections during the trial proceedings was arrested. In the officials' investigation of him, they found he was committing adultery with one of the afflicted girls. Giles Corey, husband of Martha, who boldly refused to enter a plea in court and was subsequently crushed to death as the court officials tried to force him to enter a plea. Court convened on June 2, 1692. William Stoughton appointed as Chief Magistrate of the court by the Crown, Thomas Newton, was the Crown's attorney prosecuting the cases and Stephen Sewall was appointed as clerk of court. And, what evidence was presented in court to convict these people? It was spectral evidence, used against the accused, supported by Minister Increase Mather in a letter he wrote to the Salem Village Court that this evidence should be accepted as valid and the trials proceeded using this evidence. Spectral evidence was when the afflicted persons claimed to see the apparition or shape of the person who was allegedly afflicting them. If the afflicted were haunted by the ghost of the accused at night in their dreams, then the fact that they "saw" the accused was evidence enough to convict the accused. This evidence and "touching evidence," where when the accused touched the afflicted ones, they suddenly started the strange behavior of writhing on the ground, etc, the accused were convicted in court. This silly evidence was all it took to gain a conviction. And once convicted the executions began! 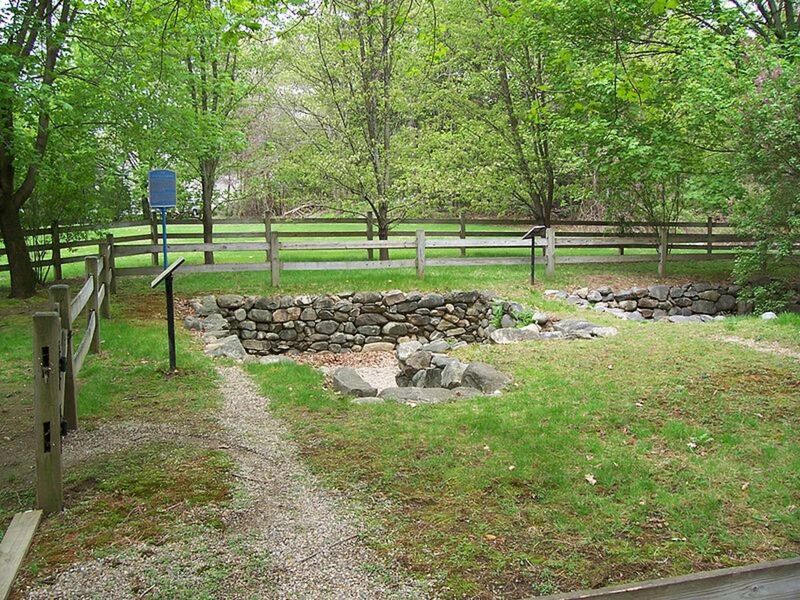 Most were hanged at Gallows Hill near Salem Village. Some died while being held in prison. 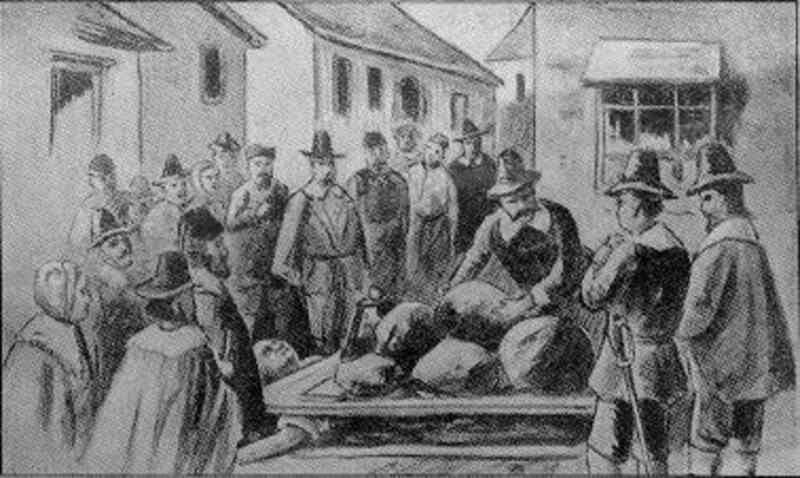 As mentioned before, Giles Corey died from the crushing torture. More than 150 people were arrested and imprisoned during a year's time of the hysteria and trials. At least approximately thirty to fifty people were executed as witches. 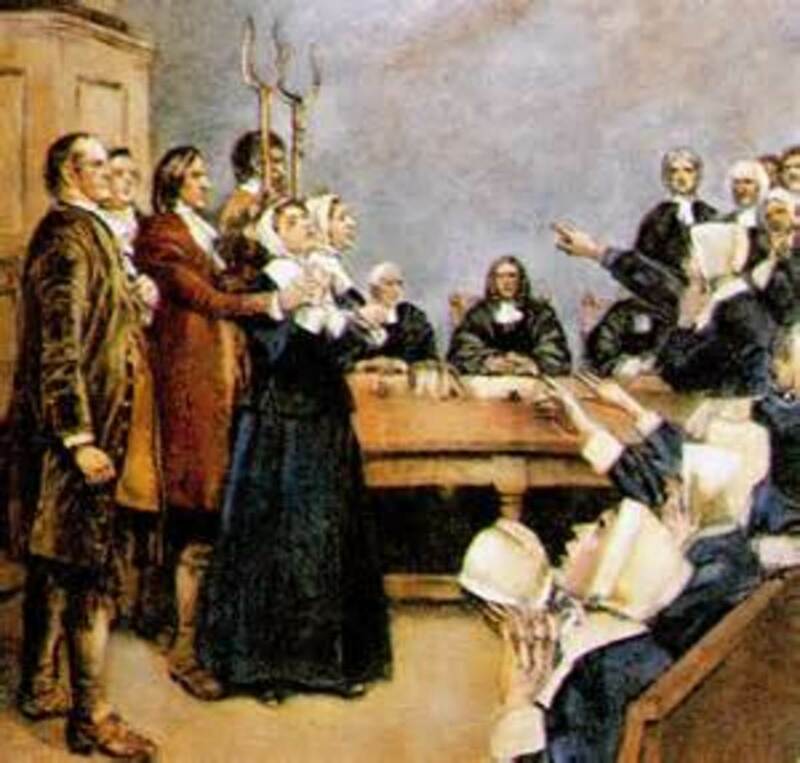 The educated elite of Boston pressured the courts to exclude the spectral evidence "
There was a public call for justice at the time and in 1695, Thomas Maule, a Quaker, publicly criticized the handling of the trials by Puritan leaders. He wrote, "better that 100 witches should live, than one person be put to death as a witch, which is not a Witch." When his writings were published, Maule was imprisoned for twelve months, tried, and found not guilty. Finally, the idea of witchcraft, Satan, and trials ended for all time. But all this was too late for the innocent lives that were lost during this hysterical year, 1692, in Salem Village in the Massachusetts Bay Colony. How do we know the names of those arrested, imprisoned, and executed? Copious court records were kept on all the investigations and trials and transcripts were kept of each trial. These records have given us the history of the the times, and that is how we know so much about the Salem Witch Trials of 1692. Today, you can visit Salem, Massachusetts, about an hour's car drive outside of Boston, and see the Salem Witch Museum and visit the places mentioned in this article. Nathaniel Hawthorne's literal House of the Seven Gables is in Salem and that can be viewed and toured also. His American classic novel, The Scarlet Letter, also takes place in Salem Village during the Puritan era. Sara: I agree with you! So far how the world is going...probably not :/ Something really big would have to happen first. Sara Jane Brown: Yes, even today, this still goes on in some parts of the world. Scary! It is so sad what mass hysteria does to a people or culture. Look at Ferguson, MO. Will we ever learn from our past mistakes? Brings chills just knowing this stuff is still going on in third world countries! Very good article. Just hard to imagine all the horrible things that people have turned their back and let happen in our history. Brian: Thanks for reading and for your insightful comments. I have to agree with you sadly that witch hunts still continue today, just in a slightly different form. I can't believe how religion has permeated government and our political system. The hunts are more subtle but happen nonetheless. Thanks for your visit. Most appreciated. DrBill-WmL-Smith: Thanks for reading this and yes, it is a fascinating period of our history. When the mob mentality takes over it is a sad situation. I am pleased you enjoyed this and thanks for your visit. grinnin 1- Hello! Thank you so much for reading and your comments. I knew about Samuel Sewell but I have never read his diary. That is one I'll definitely have to read. I know, these people got all caught up in the hysterics of the moment and didn't stop to think of the lives they were really destroying. Fear of the unknown is the worst and really drove the people of Salem to these lengths. Thanks for your input and your interesting response. Great synopsis of this time in history. A great read from a personal viewpoint of this time is Samuel Sewell's diary. 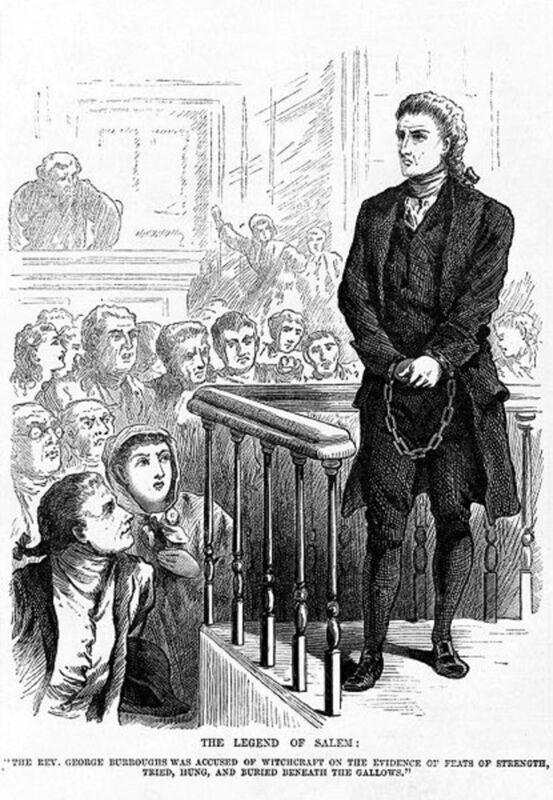 He was a judge during the Salem witch trials, and the only one(judge) who made a full confession of wrongdoing and recanted his conviction a few years later. It gives you a good idea of the minds of people then, even the most educated, sophisticated of the time. Great hub- voted up and look forward to reading more. Thank you, Epi, for your comments. I appreciate your feedback and putting it on your facebook page. I taught this subject eons ago when I taught American Literature in high school. It seems like almost another lifetime ago, now. 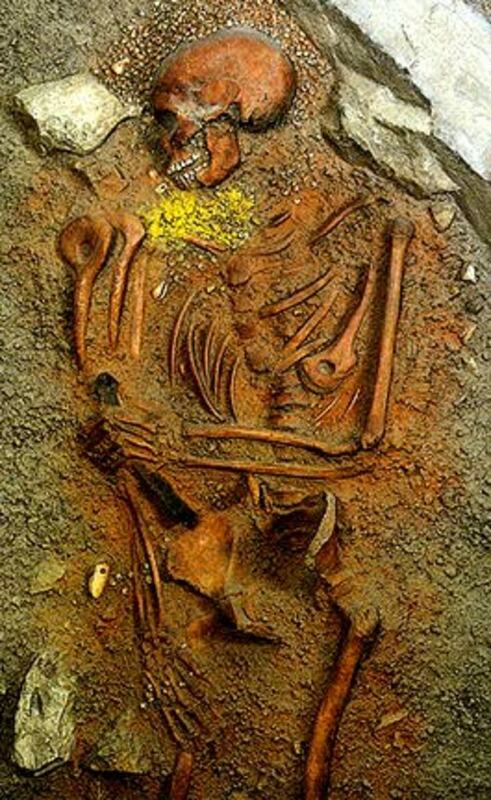 But, this was always so interesting to me and my students found it interesting also. I'd love to see that PBS program - that is really interesting about the contaminated wheat. You just never know what freak incident like that could contribute to such a hysteria. I used to show my students a film on the subject that was pretty good, but it was an old reel film (16mm I think). This was before vcr's and dvd's, so you know how long ago that was. I find the whole Puritan period of history, both in England and then in the American colonies quite interesting. Thank you for reading and commenting. I hadn't heard or read about the mushroom, but that is a good point you bring up. A hallucinagentic mushroom could have had something to do with it, especially since Tituba, from Barbados, may have known about such things. I have always read in my research it was just the girls' wild imaginations and the wanting of attention. This was such a sad, dark time in our history, because people actually lost their lives over this hysteria. Not much have change in human nature. Gov. Phipps ordered the termination of the trials when his wife and the ruling class of which he was a part became suspects and were being investigated. He was willing to let the witch hunt continue as long as it's victims belong to the lower class and outcast of society. Ignorance, religious hypocrisy and the possible culprit, a mushroom that causes hallucination and muscle spasm may have started the hysteria, but the authorities in Salem must bear the greater part of the blame for the miscarriage of justice. kerlynb: You are not going to believe this, but students have read this hub. I was on google, looking for some other information on this topic, and I found middle school students who had read this hub and commented. Their assignment was to read this and write a complete sentence about this hub. My favorite was, "This is an interesting hub that has some good stuff in it, and the picture at the top is really good." Wow, a compound sentence that was so precise. ("good stuff") I wrote a comment back to the students thanking them for reading this and commenting. But, I cracked up when I read their comments. On a more serious note: I am saddened to hear that spectral evidence is used today to falsely convict enemies. We laugh at this sort of thing, but to think this still goes on is frightening. There is so much work to be done on human rights throughout the world. Suzette, this is one hub that students should be reading. Very well-written, filled with details and well-organized. Unfortunately, the spectral evidence that you talked about here is still being used in some parts of the world. Many dictators and corrupt courts use it as evidence to falsely convict their enemies. Had to vote this up and interesting! Yes, I agree with you. Man can be evil and very sinful, and I didn't mean to blame this solely on religion, but the fervor and extreme religious ends MAN took this too. I did not mean to infer the religion was sinful. It certainly was how MAN interpreted things, and it was MAN's evilnesss, not the religion or God. I did not mean to offend you in any way. Thank you for reading and for your comment. Yes, me too. And that they were killed in the name of God and religion. That really gets me. That is why I am leery of religious fervor and extremism in religion. I believe it does more harm than good. It never ceases to amaze me how many atrocities have been done in our time. It is so sad to think about all the people who lost their lives because they were suspected to be witches. I have often found this period of American History to be quite interesting!